Results of the first five-year outcomes study of prostate cancer patients treated with image-guided proton beams have generated some surprise among radiation oncologists not affiliated with a proton therapy center. Dr. Mendenhall’s study, published earlier this year in the International Journal of Radiation Oncology Biology Physics, showed 99 percent of 82 patients with intermediate-risk prostate cancer remained disease free five years after proton treatments. The study also reported 99 percent of 89 patients who had low-risk prostate cancer and 76 percent of 40 patients with high-risk prostate cancer were free of their cancer five years after proton therapy. 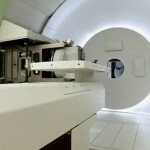 All patients in the study had been treated with image-guided proton therapy between August 2006 and September 2007. According to Dr. Mendenhall, photons using intensity modulated radiation therapy (IMRT) typically achieve disease control rates of 70 to 85 percent among intermediate-risk prostate cancer patients. Study participants were treated with protons over an eight-week period using a slightly higher radiation dose per fraction than is ordinarily used in IMRT. The typical course of IMRT treatment for prostate cancer runs for about nine and a half weeks, said Dr. Mendenhall. Dr. Mendenhall speculated there may be a number of reasons why protons performed so well, including accuracy in target delineation with the use of fused CT and MR images; targeting through daily image guidance with implanted prostate fiducials; using stabilization strategies to reduce prostate motion during dose delivery; the relatively short time of proton dose delivery, reducing the risk of motion and potential inaccuracy in treatment delivery; and using slightly higher daily proton doses that were given over a shorter period of time. Another factor may involve relative biological effectiveness, Dr. Mendenhall noted. 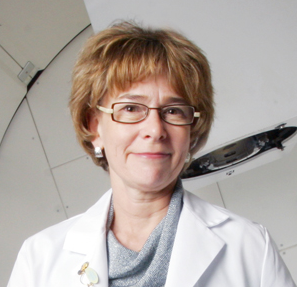 “These results do beg the question of whether protons are slightly more effective than X-rays,” she said. The answer may take years to determine, she added. Results of the Florida research fly in the face of the infamous Chen study published in 2012. It concluded that prostate cancer patients treated with protons experienced far more serious side effects than those treated with photons. Dr. Ronald Chen, a professor of radiology at the University of North Carolina, made his determination after reviewing the Medicare records of about 14,000 men treated for early-stage prostate cancer with radiation therapy between 2002 and 2007. 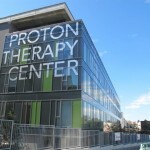 Fewer than 700 patients had been treated with protons. The remainder had been treated with photons, including IMRT. 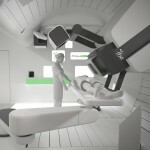 Later this year, Dr. Mendenhall and other researchers at UF Proton Therapy Institute will wrap up a new outcomes study. 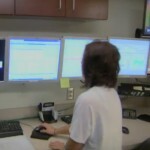 They’ve been monitoring the health of an additional 1,300 prostate cancer patients treated with protons between 2008 and 2010. “If these results hold up in this much larger population, that’s a very good sign,” Dr. Mendenhall said.